Q1. 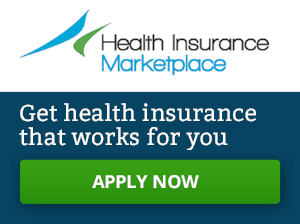 How do I apply for health insurance? A. You can apply for health insurance through the Health Insurance Marketplace, which is designed to help you find health coverage that fits your budget and meets your needs. The fastest way is to apply online at HealthCare.gov. The online version of the application might also shorten the application process based on your responses. Online. Visit HealthCare.gov to get started. In person. Visit a trained counselor in your community to get information and apply in person. Find help in your area at LocalHelp.HealthCare.gov. By mail. Complete a paper application and mail it in. You can download the paper application form and instructions from HealthCare.gov. Through a streamlined application process, you can apply for coverage with a Qualified Health Plan (QHP) and find out if you can get savings that you can use right away to help you pay your monthly insurance premiums for private coverage. You can also find out if you qualify for cost sharing reductions that can help with insurance co-pays or out-of-pocket costs. (The application for individuals is only three pages long.). You can also find out if you qualify for free or low cost coverage through Medicaid or the Children’s Health Insurance Program (CHIP). Please be aware that people who already have certain types of health care coverage including Medicare Part A and most kinds of Medicaid are not eligible to buy a QHP in the Marketplace. For more information, go to the HealthCare.gov website, Medicaid, CHIP, and Medicare page. Q2. Why does the Marketplace application ask about health conditions and what happens if I answer yes to that question? A. The Marketplace application asks the question, “Do you have a physical, mental, or emotional health condition that causes limitations in activities (like bathing, dressing, daily chores, etc.) or live in a medical facility or nursing home?” It is up to you to decide if you want to disclose that you have a medical condition or disability. However, if you do, answering “yes” to this question will help determine if you are eligible for less expensive or even free coverage, such as your state’s Medicaid program. Also, answering “yes” won’t increase your health care costs or make you ineligible for insurance. If you have a medical condition that causes any of the activity limitations described in the question above, but you don’t think of yourself as having a disability, consider answering “yes” to the question anyway because you might qualify for standard Medicaid in your state or for the Medicaid expansion program, if your state is participating. Q3. I would like to complete the Marketplace application independently, but I am blind and use assistive technology to access Internet documents, including forms. Is the application accessible to me? A. Federal agencies are required to make their electronic and information technology (EIT) accessible to people with disabilities. (See Section 508 of the 1973 Rehabilitation Act as amended.). The HealthCare.gov website says that it, “…strive[s] to meet or exceed the requirements of Section 508 of the Rehabilitation Act (29 U.S.C. 794d), as amended in 1998.” If you cannot access any content or use any features on the HealthCare.gov website due to either a disability or problems with how your assistive technology interacts with the website, please contact the Section 508 Team by email at 508Feedback@cms.hhs.gov. Please note that the downloadable Marketplace application does not permit fillable forms. That is, you cannot complete the downloaded application on your computer and then print it out. However, you can type your answers to the questions in the application using the online version on the Marketplace website and submit it electronically. Q4. I have a visual impairment and cannot read regular-font print. Can I get the Marketplace application in a large print paper format? A. The Marketplace does not make the application available in a large print format. However, the application can be downloaded from the website and enlarged on screen using your computer browser’s font-size settings. The enlarged version of the application that you can read on your computer screen might not be suitable for printing, however. Q5. My disability causes significant fatigue, so I am not sure I can complete the application in one sitting. Can I save my work and return to the site later? A. The Marketplace website takes into account the fact that some people might not be able to complete the application in one sitting. So, once you have set up an account, you can begin work on your application, take a break and return to it later, or go back and add additional information when you get it. Q6. I am deaf and would like to complete the Marketplace application by telephone with the assistance of a Navigator. Is a TTY number available? A. You can call the Marketplace customer service TTY number—1-855-889-4325—24 hours a day, 7 days a week for assistance completing an application or to ask any questions you might have. Q7. I have a reading disability that makes understanding complex writing difficult. Will I be able to understand the questions on the Marketplace application? A. The HealthCare.gov website is committed to posting documents in plain language. It follows to the extent possible, federal guidelines for writing plain language. The Marketplace application is written using easy-to-understand words and phrases. So, you will probably be able to read, understand, and answer the questions. Q8. I have a speech disability. I want to apply for health coverage by telephone. What should I do if the Marketplace customer service representative can’t understand me? A. Customer service representatives are trained to understand different voices, accents and speech patterns, so they might be able to understand you. If they do not understand what you are saying, consider using the speech-to-speech (STS) relay service. Speech-to-Speech (STS) is one form of Telecommunications Relay Service (TRS). TRS is a service that allows people with hearing and speech disabilities to access the telephone system to place and receive telephone calls. STS helps people with a speech disability to make telephone calls using their own voice (or an assistive voice device). STS uses Communications Assistants (CAs) to relay the conversation back and forth between the person with the speech disability and the other party to the call. You simply call the relay center by dialing 711, a toll-free call, and indicate you want to make an STS call.